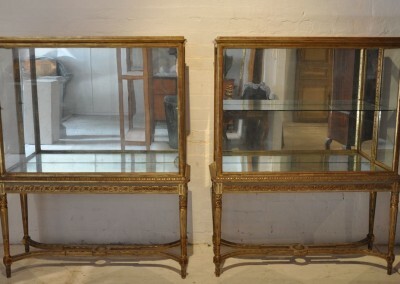 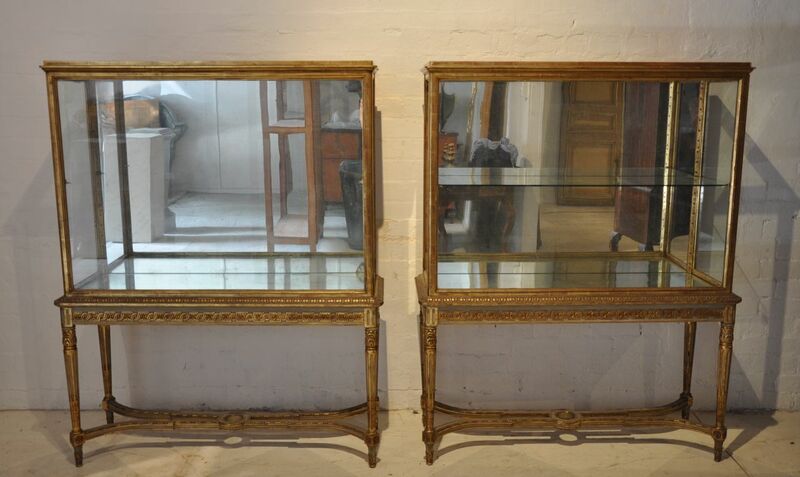 A pair of French painted & gilt cabinets c.1920. 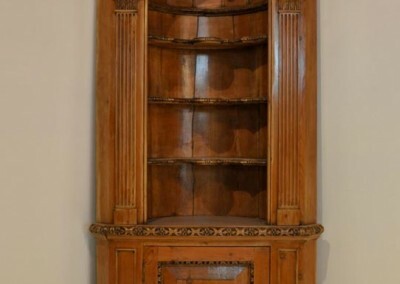 An 18th century French Bonnetiere c.1780. 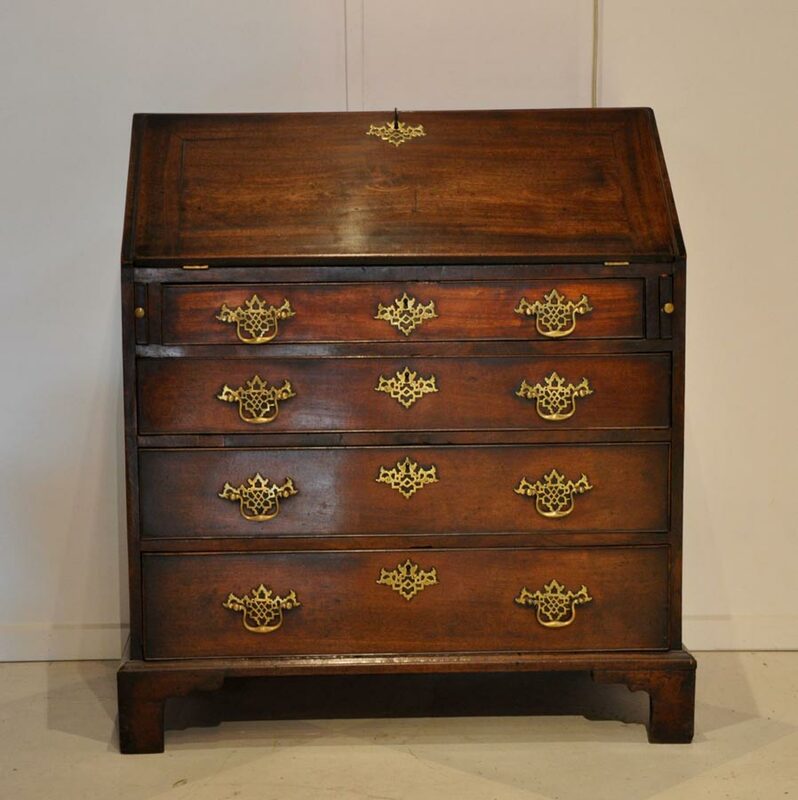 An 18th Century English Oak Chest on Stand c.1740. 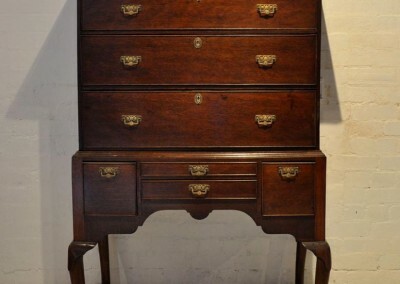 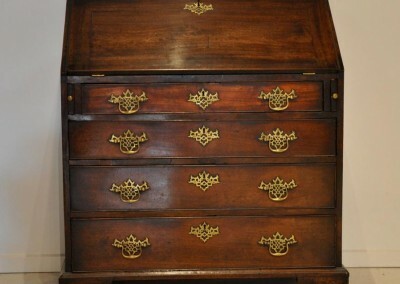 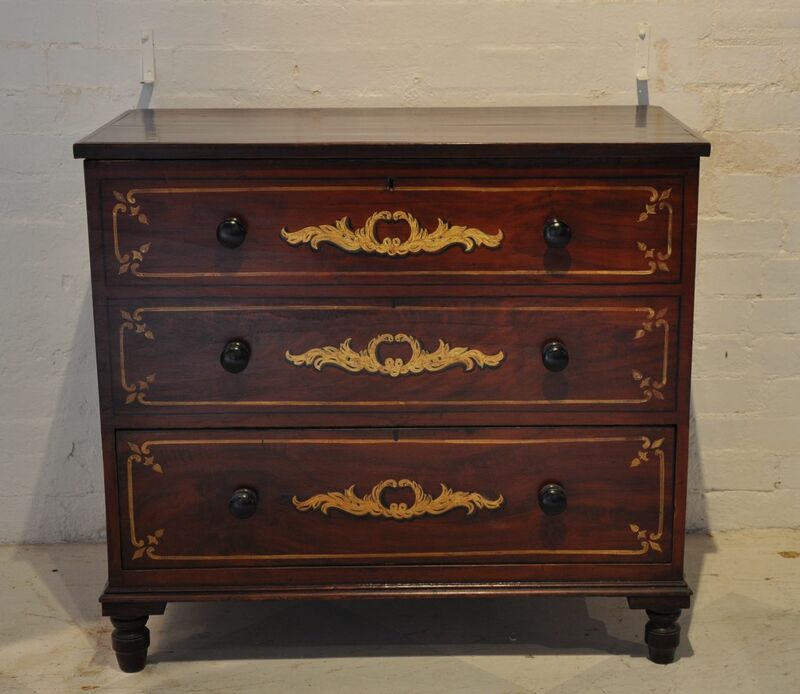 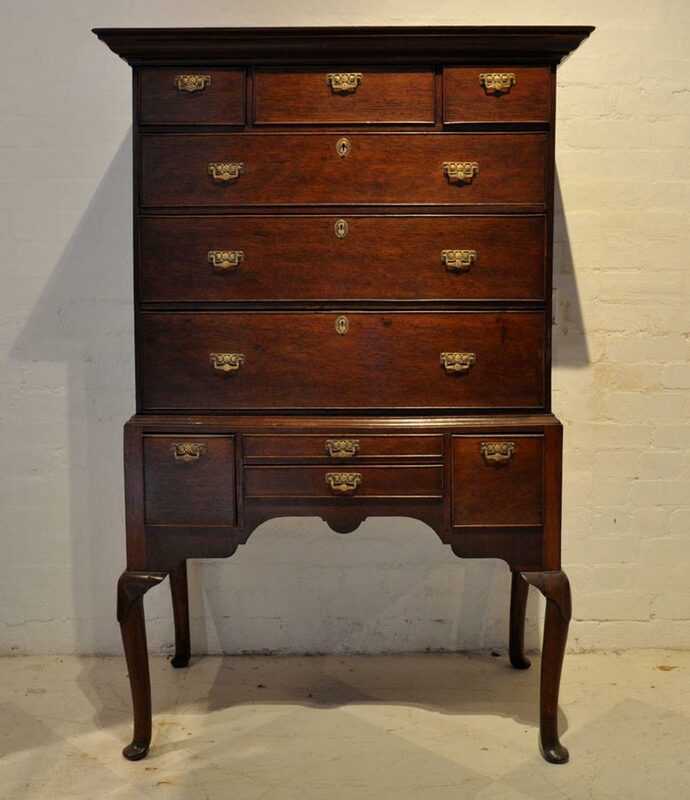 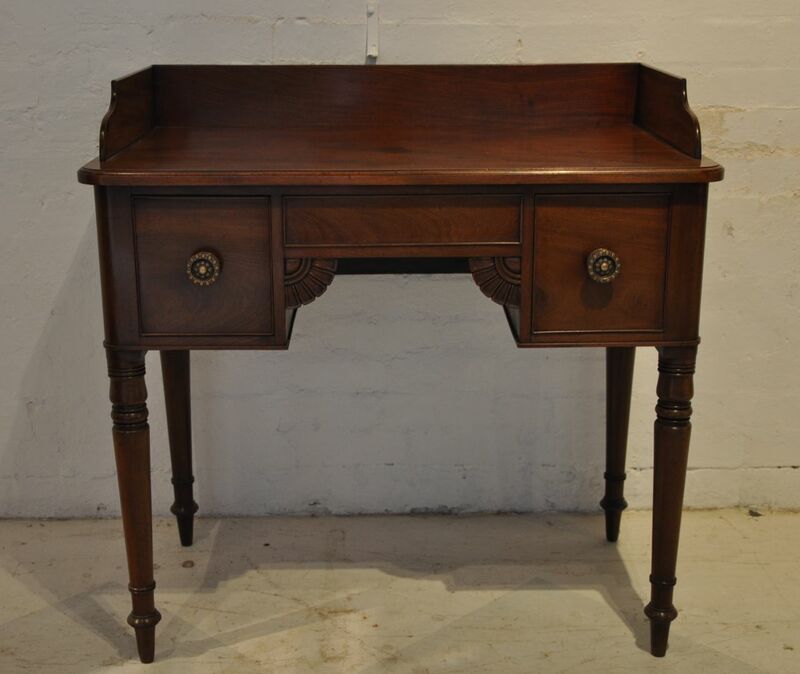 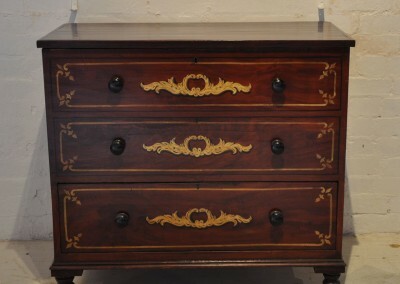 A Geo.111 Mahogany Bureau c.1780. 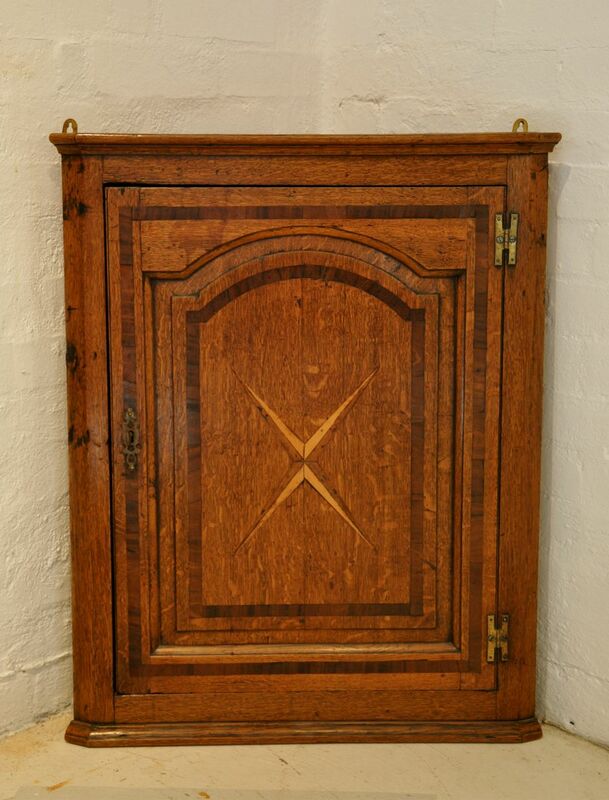 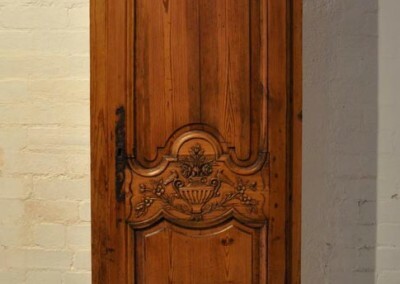 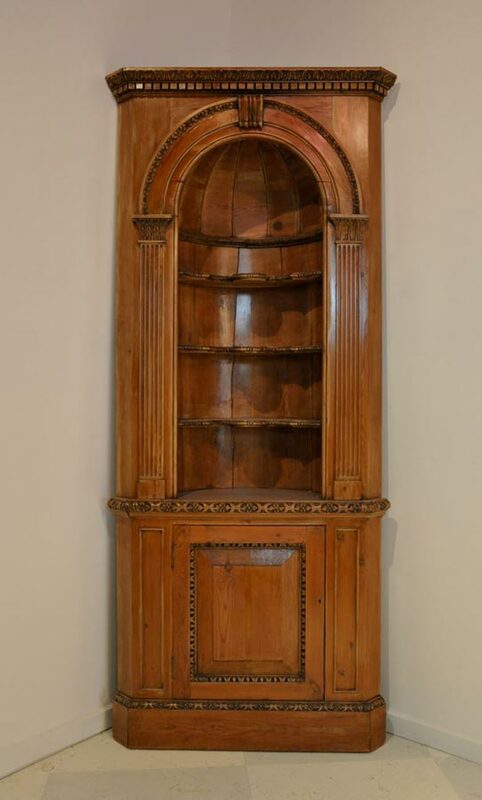 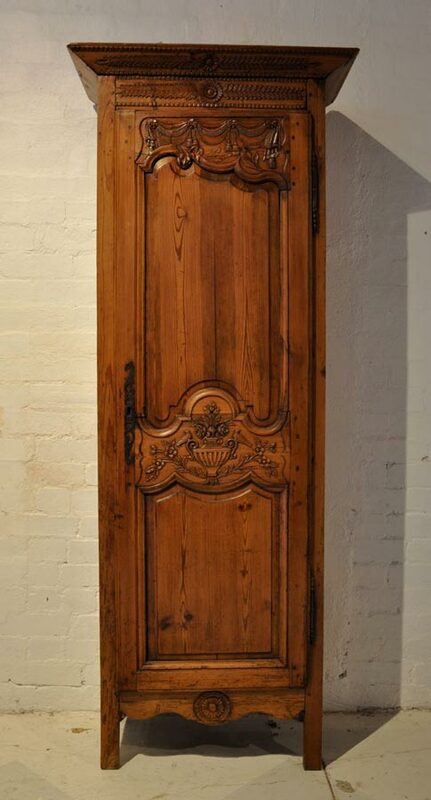 An 18th century oak corner hanging cupboard. 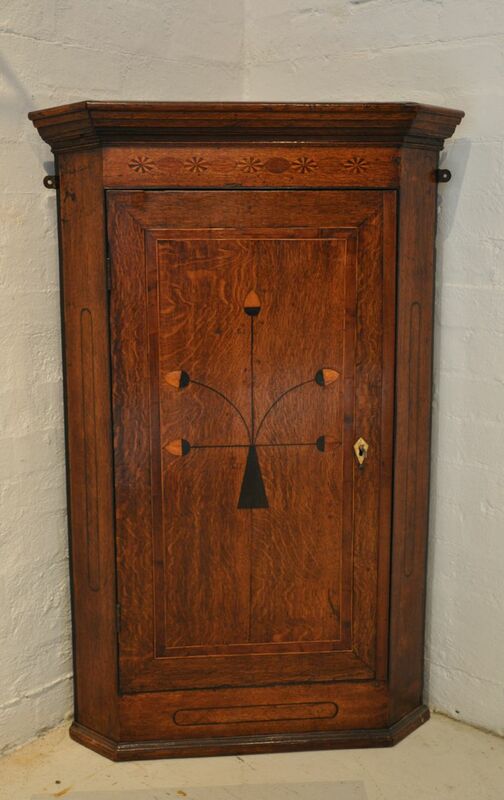 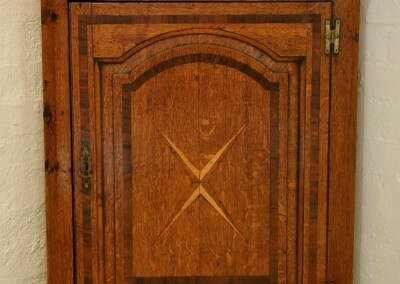 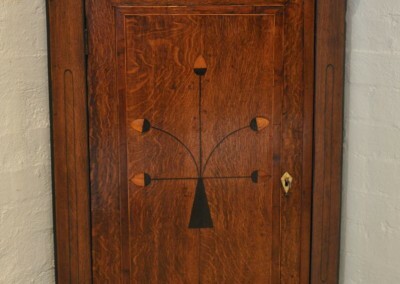 A GEO III oak corner cupboard with inlay c.1800. 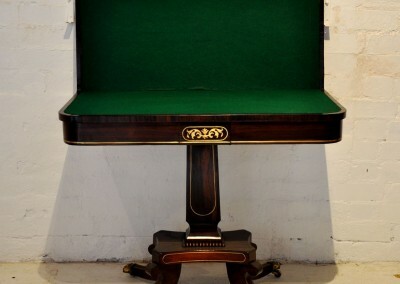 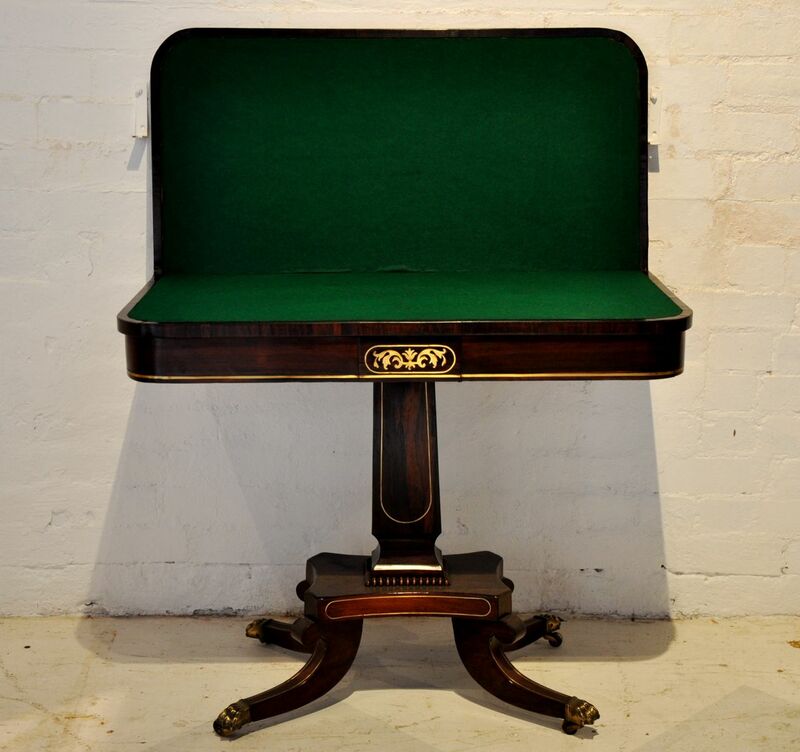 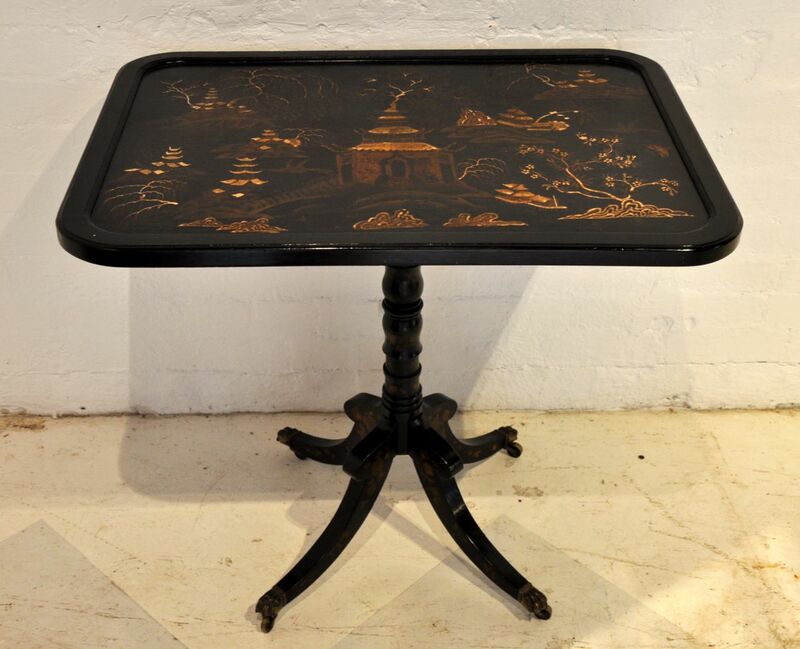 A Regency rosewood card table with brass inlay. 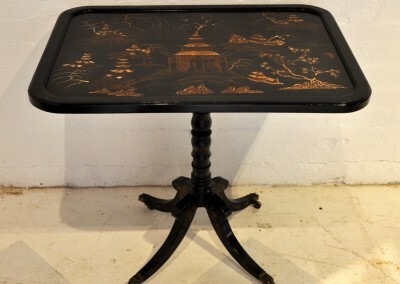 An English lacquered chinoiserie table c.1840. 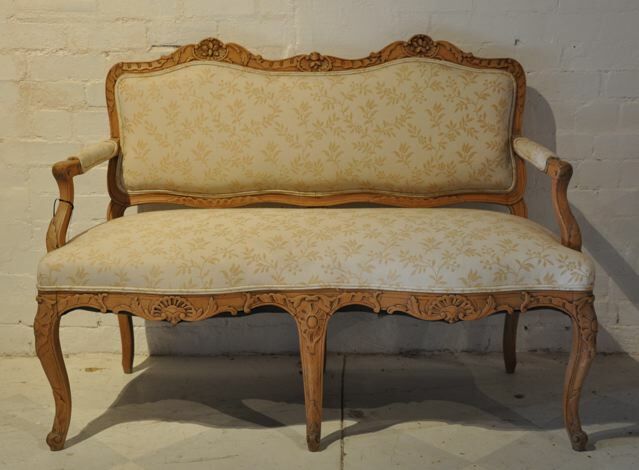 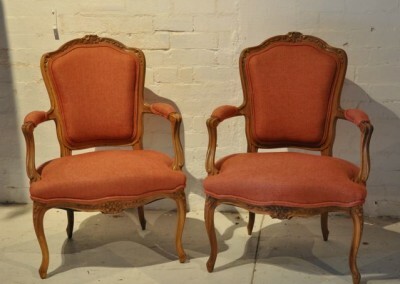 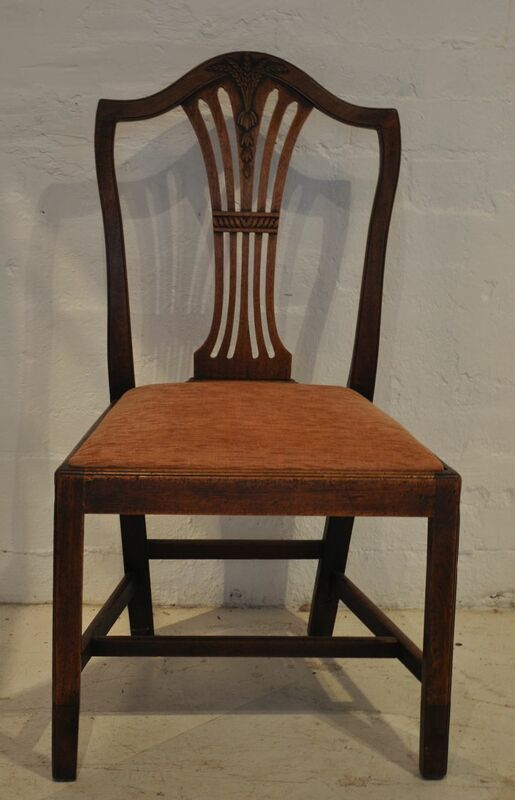 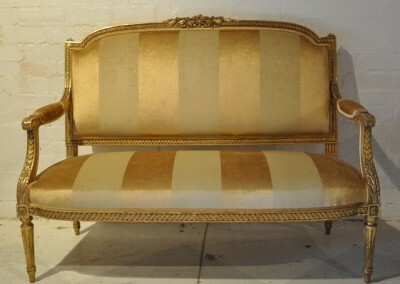 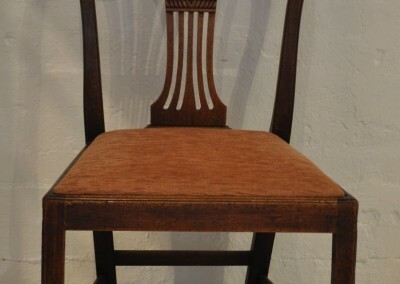 A 19th Century French Settee with carved frame. 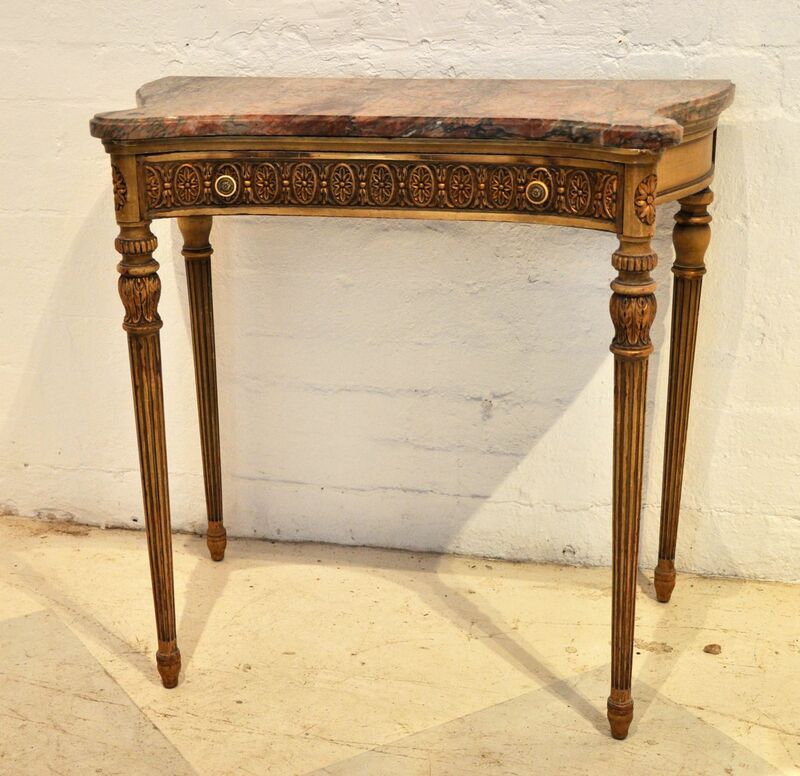 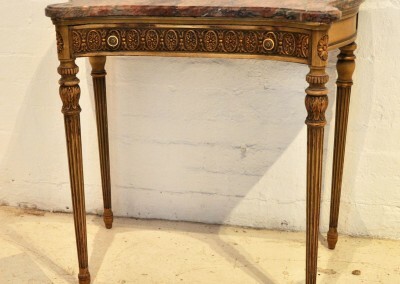 A painted & gilt console table by Henry Fuldner & Sons New York c.1920. 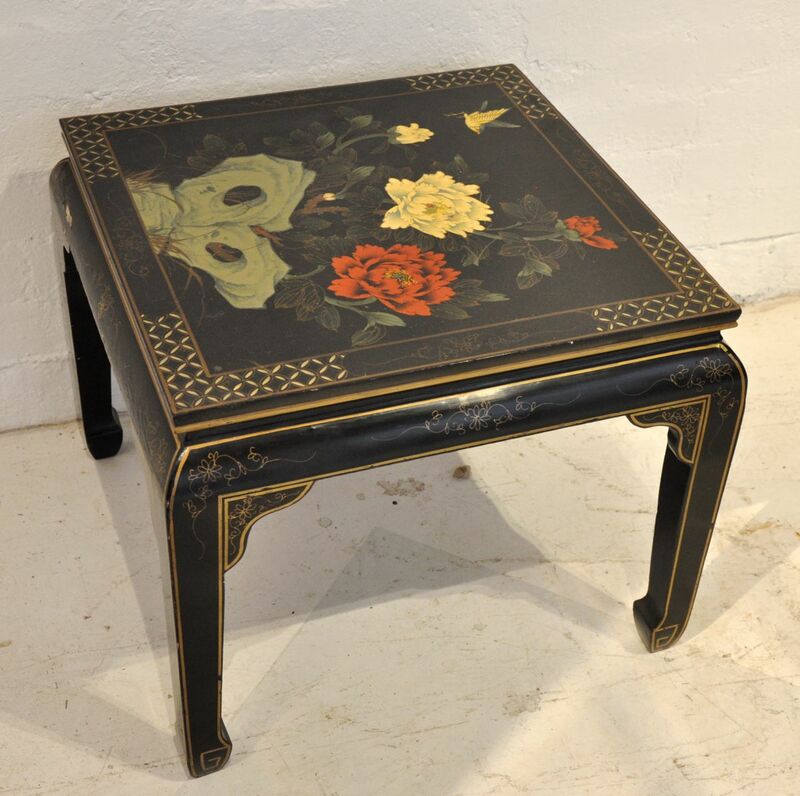 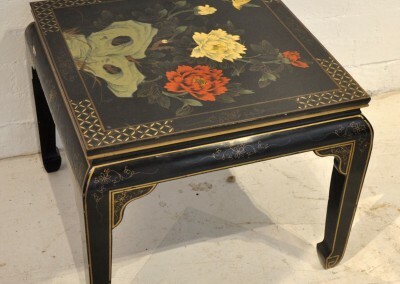 A 1930s lacquered coffee table. 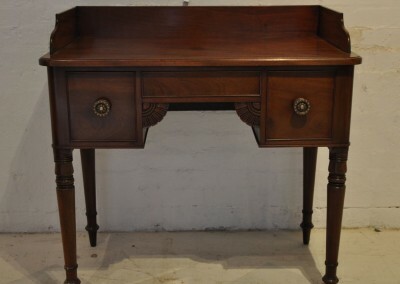 A William IV mahogany table c.1835. 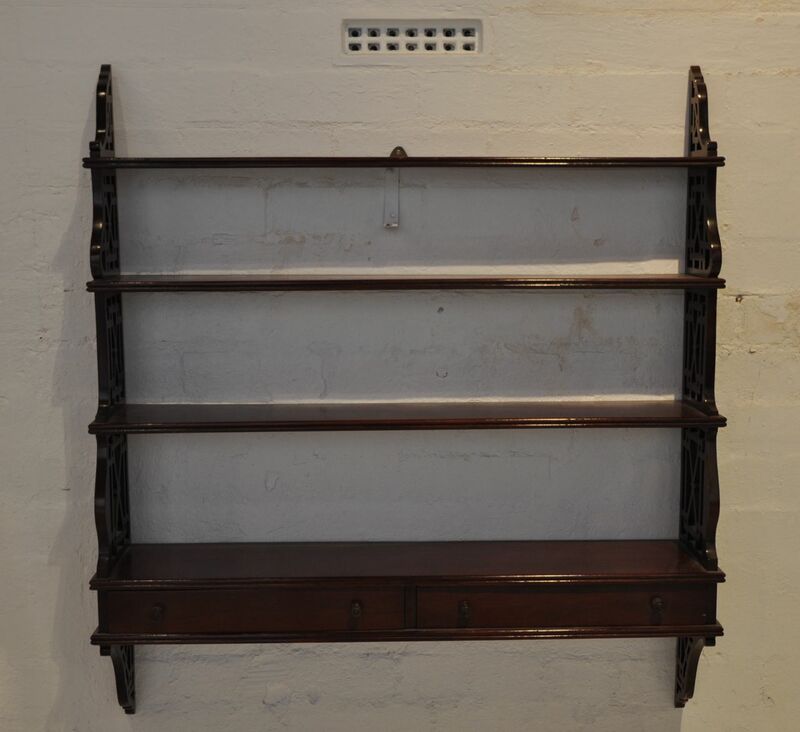 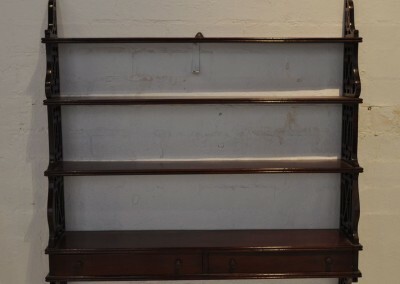 Mahogany 4 tiered wall bracket with two drawers in the GEO style. 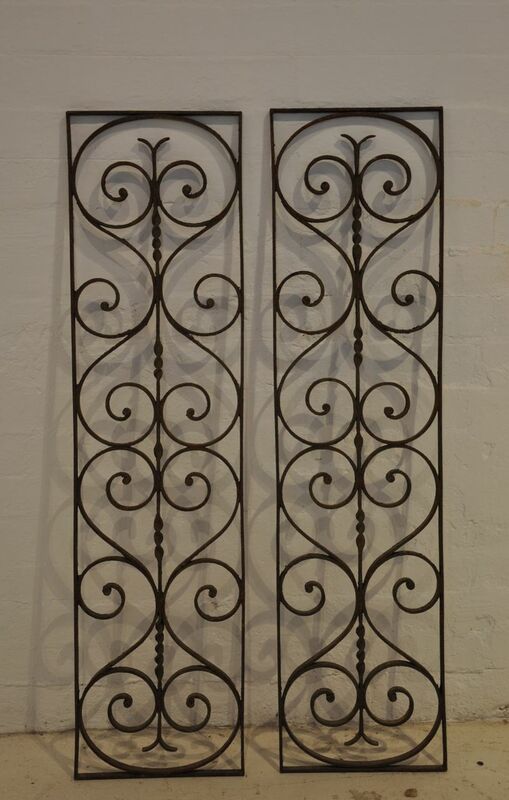 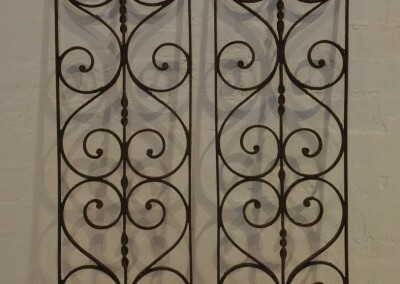 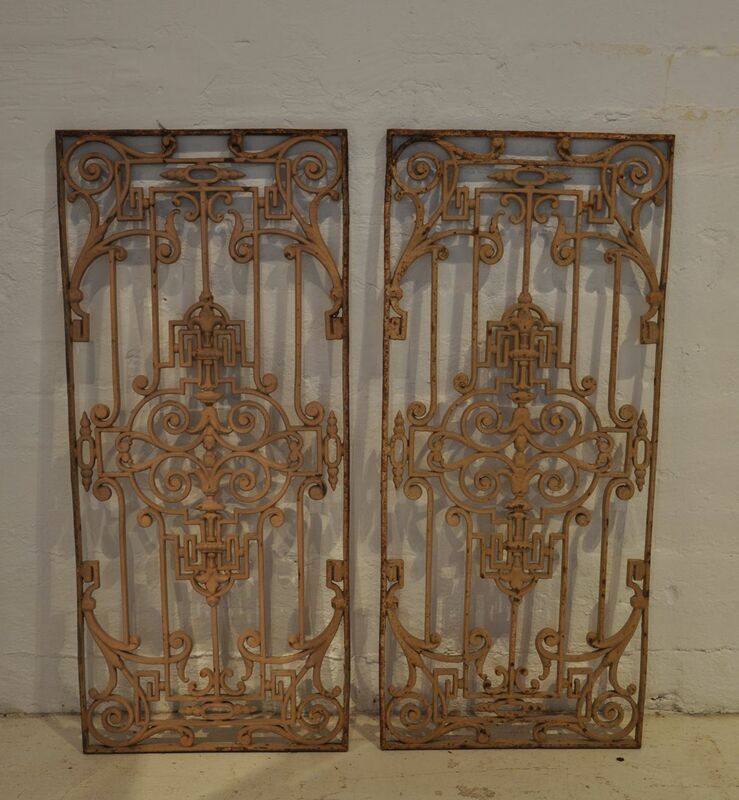 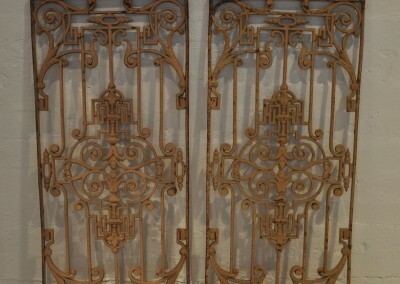 A pair of cast iron panels.